According to the Center for Disease Control and Prevention, one out of every three adults age 65 and over suffer from falls each year, and 25% of those incidents result in moderate to severe injuries. To put those numbers in perspective, 2.3 million seniors were treated for fall-related injuries in emergency rooms in 2010 alone. 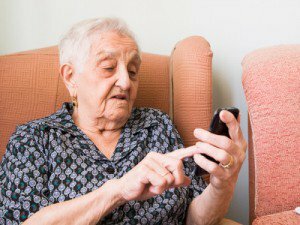 Considering these facts, if you have an elderly loved one who spends even some of the day at home alone, purchasing a medical alert system for that family member can be a sound choice. With a medical alert system, both you and your loved one know that help is just the push of a button away, 24 hours a day, 7 days a week. Studies have shown that fear of falling causes some seniors to limit their mobility when home alone. Unfortunately, this ultimately causes a decline in their range of motion and balance, which ironically increases their falling risk. The peace of mind provided by a medical alert system will allow your loved one to continue in their normal daily activities with a greatly reduced fear of injury. If your loved one is hesitant about the purchase of a life alert system because they are afraid it will be complicated to use, you will be able to alleviate these fears quickly. The standard medical alert system consists of a waterproof button, which the individual wears around their neck or wrist, and a main unit plugged into the wall and a phone line. The main unit also has a built-in help button. When either button is pushed, the main unit contacts a medical alert staff member to summon help. Your loved one can then talk hands-free to the monitoring station. They will not need to move or raise their voice in order to use the communicator from almost anywhere within their home, although this could vary from home-to-home. Some medical alert systems are equipped with a variety of options to make your loved one’s everyday life a bit easier and safer. These options include features like medication reminders and fall detectors. Some systems also offer a feature that will remind your loved one to “check-in” to the system at regular intervals by pressing their communicator button (also known as activity monitoring) . This is a way to reassure those that love them that they are home and safe throughout the day.